The walking distance was a few blocks. We actually intended to go there by taxi, but most of the taxis were full. We approached a nice lady to ask for directions to the park, and she gladly helped us. She was very excited even. She told us she'd be happy to help tourists in Davao so we would keep on coming back. She drew a sketch of the way to People's Park on my little notebook. We arrived in People's Park about 30 minutes later by foot. When we got there, a throng of people were lining up at the entrance. Most of them were students, and some were on a field trip that day. 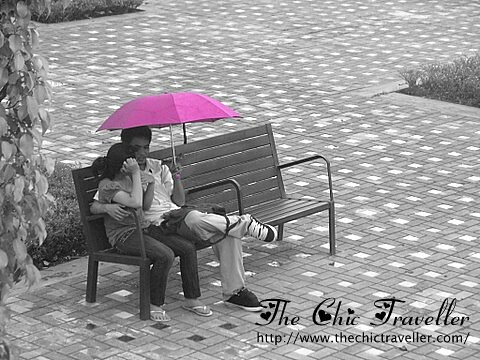 of all the places I've visited in the Philippines, there are only a few parks that I know where people stay and linger. When we entered the park, I immediately saw how big and well-kept the place was. It was actually packed with people. Most of them are seated comfortably in nearby benches talking to their companions. Children were off to the playground to run around and play. Some were busy taking pics of the many sights around the park. It is said that People's Park will soon become Davao's biggest landmark, and it's a site in progress. 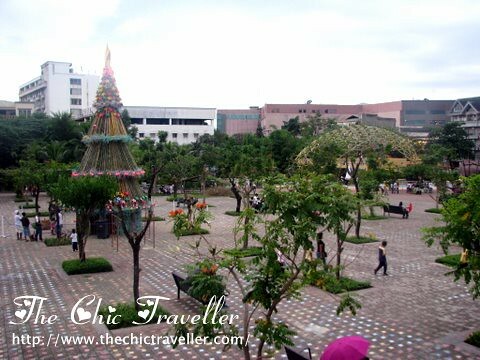 The budget for the development of People's Park is said to be Php71 million. Upon entrance to the park, a big eagle sculpture greets the park's visitors. 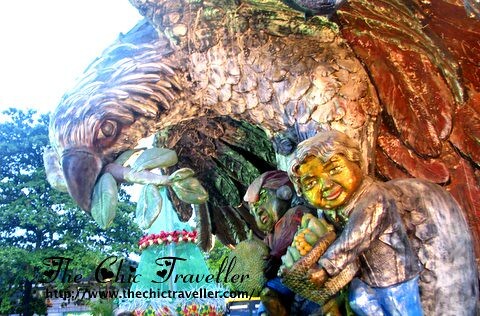 This is a sculpture of renowned Davao artist Kublai Milan, and the park showcases a lot of his works. It is easy to see why the eagle was chosen for the sculpture. Davao is home to the endangered Philippine eagle, and it's one of the many things that Davao locals are proud of. Everyone seems to be enjoying their time at the park. 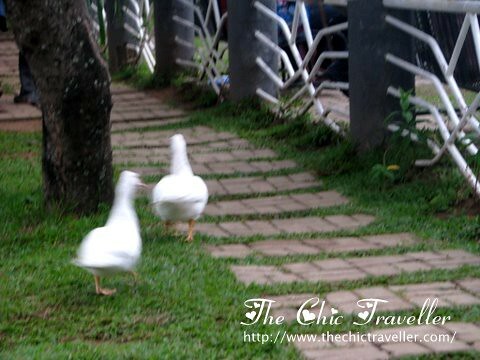 Even ducks and geese are running around the park freely, openly mingling with the guests and kids at the playground. 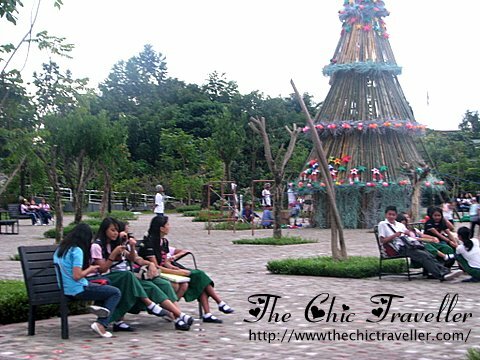 I had fun taking pics at Davao People's Park. Most of them were about people enjoying their time at the park, like these two. It was drizzling a bit when I visited the park, and this couple surely didn't let a little rain intrude their sweet moment together. Care to make a wish for 2009?